An afternoon ride through the Manawatu and Horowhenua areas on Saturday enabled me to get these shots. 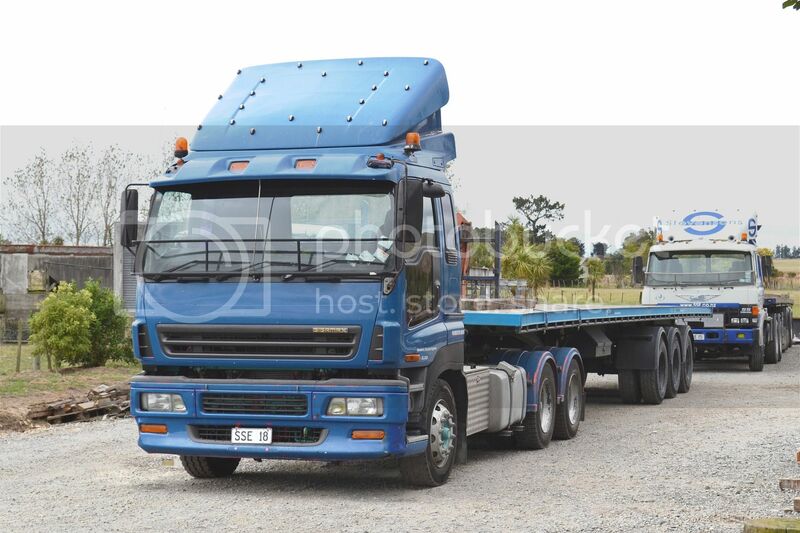 Stevenson's Structural Engineers at Tokomaru have this 2004 Isuzu EXZ 460 in their fleet to assist in delivering their engineered structures. 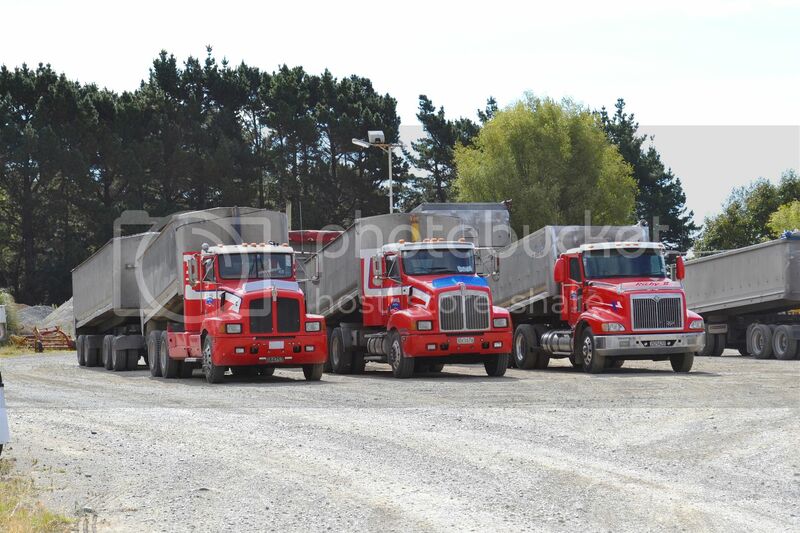 MLT's line-up at Levin has 3 ERF EC14s. The one at the right hand end, dates from 1997, whilst the other two were both manufactured in 2000. Also in the line is a 2009 Freightliner Argosy TSB and a 2013 International 9800E Eagle. Reid's Transport at Rangiotu have always had American trucks as far as I know. 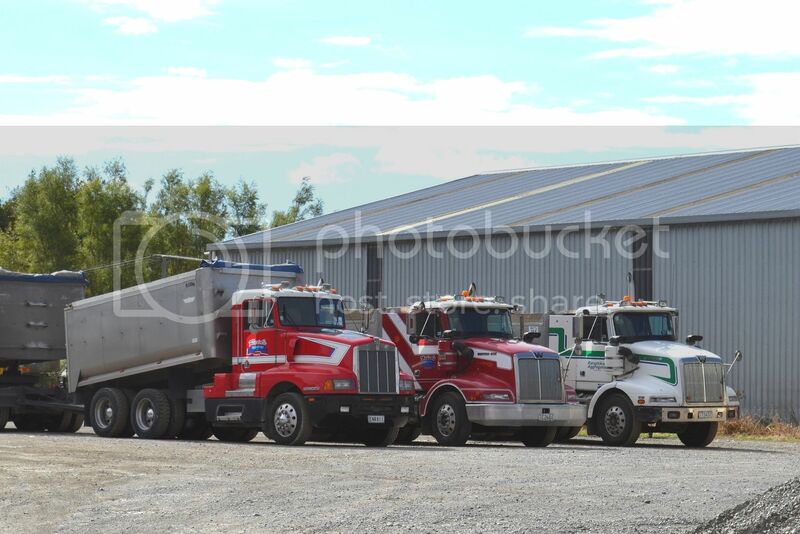 Although the fleet consists mainly of the Kenworth name, there are also other breeds present. Here a 1993 Kenworth T600A sits alongside a pair of Western Star 3864Ss of '94 and '95 vintage. 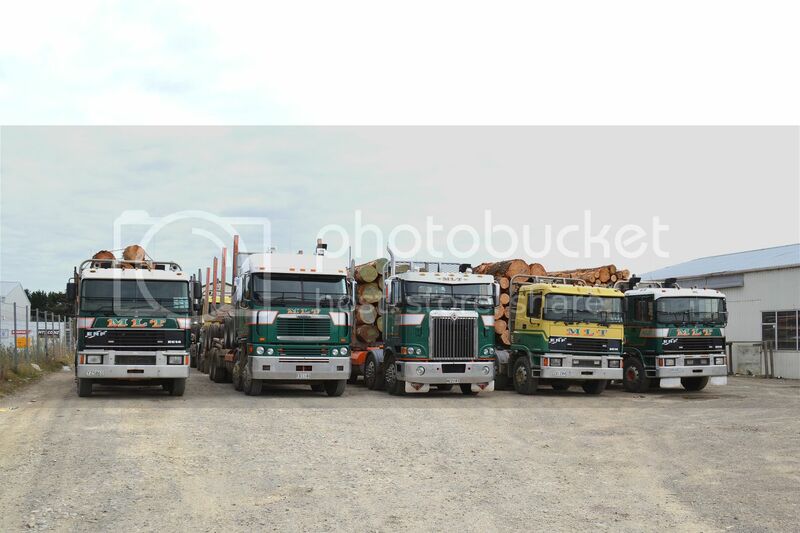 Also in the yard were , from left, a 1996 Kenworth T440, a 1998 Kenworth T401 and 2000 International 9200 Eagle.